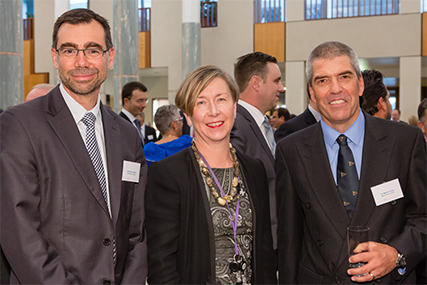 Medicines Australia hosted its annual Parliamentary Dinner (19 March) at Parliament House with about three hundred guests attending the event, alongside guest of honour, Health Minister the Hon. 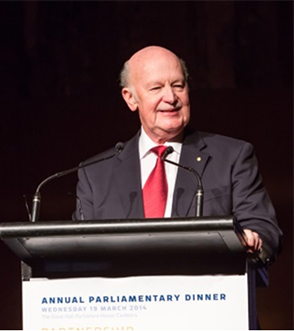 Peter Dutton, and keynote speaker, Professor John Shine, Chairman of CSL. Dr Brendan Shaw with Professor Jane Halton and Dr Martin Cross. Professor John Shine delivers his speech as keynote speaker. Guest of Honour, Minister The Hon. Peter Dutton, addresses the gathering. 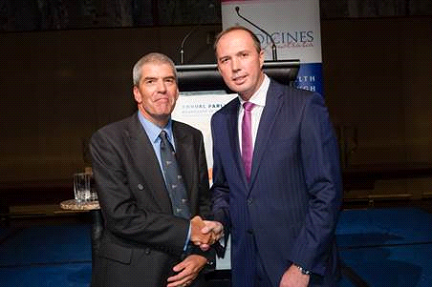 Dr Martin Cross with Minister Peter Dutton at the MA Parliamentary Dinner. Welcoming from Dr Brendan Shaw and introduction of MC for the night, Dr Martin Cross.